Knaked and Hungry Goes to Knoxville! In celebration of our upcoming (Saturday, July 28) visit to Union Avenue Books in Knoxville, Tenn., we’re changing up the spelling of Knaked and Hungry in homage to this friendly and literary city. 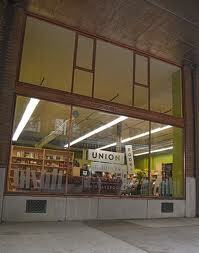 I’m looking forward to a return visit to Knoxville and the charming Union Avenue Books, an independent bookstore located downtown. Is Knoxville ready for an invasion by H.T. and gang? I sure hope so. Knoxville, named for Revolutionary War general Henry Knox, is associated with many writers, including James Agee and Cormac McCarthy. This entry was posted in Uncategorized and tagged ashley memory, book signing, event, knoxville, naked and hungry, union avenue books on July 25, 2012 by Ashley Memory. Way to go Ashley, have a great trip you and your books rock!